Empowering Parents Empowering Communities is a project developed by The Centre for Parent and Child Support that has been running successfully in London and is now being extended out to the rest of the country. We are really pleased that the South Bedfordshire area has been chosen to be one of the sites for the next wave and are very excited to be managing the project on behalf of Central Beds Council. “Being a Parent” is a parenting programme with a difference in that it is delivered by trained parents who know what it is really like to look after children and have tried the strategies taught. 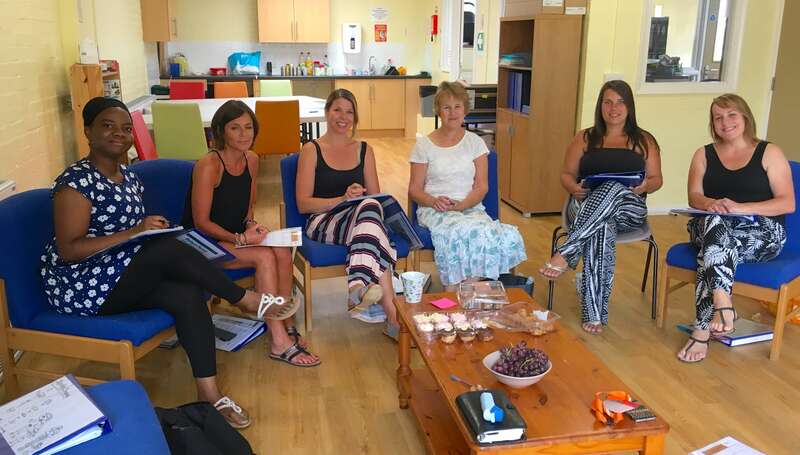 Colette and Linda have been busy training 7 parents to be Parent Group Leaders who will also have the chance to gain a Level 3 City and Guilds qualification (see image at the top of this article). We think that “Being a Parent” is a fun, interactive course and has lots of ideas that can help with bringing up children including positive strategies to manage behaviour and also how to manage the sometimes stressful job of parenting. You might also want to train to be a Parent Group Leader yourself once you have been on the course. The course is 8 weeks long and free and is suitable for parents of children between 2 and 4 years old. A creche is available. We think that you never stop learning as a parent so why not come long, learn some new ideas and be an even better parent! To book a place please contact us – email office@home-startcentralbeds.org.uk or phone 01582 660061. You can also ask for more details at your local Children’s Centre. Leighton Buzzard Youth Centre, Vandyke Rd., Leighton Buzzard – Wednesday mornings 9.30am to 11.30am beginning 26th September.